PWA European Allstar Champion and one of the tallest wrestler there today. Hello Geert,thank you for your time for this interview. - I can quite confidentely state I am the biggest wrestler in Europe today. There's not really a lot more to say than that. Geert ,how do you come to the decision to be a Pro wrestler? 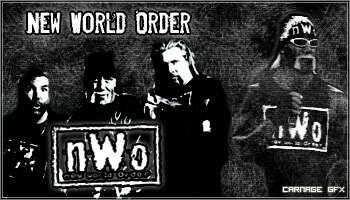 - Back in the mid to late 90's a national tv station aired WCW. It didn't last long, but it was enough to get me hooked. It wasn't until almost 10 years later I got my chance to begin training. - Back in Dutch Championship Wrestling, I had a manager called Sir Archibalt. He was a maniacal man who hired me as his bodyguard. He gave me the name to frighten opponents. When DCW went defunct I dropped the name, because there were a couple other Dutch-speaking wrestlers with 'bull' inspired names. I wanted to set myself apart by choosing a more foreign name. - My first trainer was Mark Kodiak, he himself trained with WWA4 (WCW's Power Plant) and is one of the Netherlands' veteran trainers. Since then I've received training from the likes of Tommy End and Tengkwa. I also attended seminars by great veterans like Al Snow and the Honky Tonk Man. - My favorite role is as a heel, for sure. Antagonizing people is so much more fun than being a good guy, kissing hands and shaking babies. Unfortunately, riling people up is frowned upon in 'real life', so going in the ring and being encouraged to do just that, that's cool. - I keep up with WWE and not at all with TNA, so that would answer the second part of your question. It's the pinnacle of our business, so you're kind of obligated to follow it. - Let me add a note there; over the years I've done most of my work in France, with Wrestling Stars. WS isn't known for publishing their shows on the internet as well as other promotions. As for countries I'd still like to work, the US and Japan are high on my list of places to work. I've had some offers to go to Africa, but nothing has come of that. Yet. Geert.Your first time wrestling in germany,how do you remeber this day and the match? - I remember being excited about working in Germany and for WXW, which has an impressive reputation. Unfortunately, of the match itself I don't remember much other than Zeus (now Michael Dante) breaking his ankle. I'd love the opportunity to work for WXW again and make some new memories. vs Colossus in Poland. What does it means wrestle in Poland and why you work under the Gimmick Colossus? - The Colossos gimmick was an idea of the WS promoter, Flesh Gordon. They wanted to partner me up with Scott Rider, who was working as a Scotsman. Working in Poland was an unique experience, they really take excellent care of their talent. It also marked my fifth country to work in, which made it that much more memorable. I also had a chance to work with Tommy End there, which is always a treat. - I don't have any special dream opponent or match in mind. Every match is special in it's own right. I know that sounds like a cheap answer, but that's how I feel. One thing I would like to accomplish is working for bigger and bigger crowds. The largest audience I've worked for to date is in France, for roughly 5000 fans. That definitely tasted like more. years ago but what was your personal highlight inside the ring? - Anytime I can do something in the ring that either leaves the crowd speechless or screaming for my head is a personal highlight. If I can manipulate anyone to such and extend they want to come into the ring and physically hurt me, I get a kick out of that. - It's a special moment for sure. Even though each reign was quite short due to some bad decisions, it's good to know you are the top dog in a promotion. That a promoter has so much faith in you as wrestler he's willing to give you those opportunities is a big show of confidence and a sign that your hard work hasn't gone unnoticed. - Right now, I'm having great fun with Pro Wrestling Holland and Pro Wrestling Showdown, both in the Netherlands. I'm always looking into working elsewhere, of course. If any promoters are reading this and would like to book me, contact me through Facebook, and we'll make magic happen! - Critical smartmarks don't bother me personally, and they're such a small part of the wrestling community as a whole, I find it hard to believe they hurt the business. They're only ruining the wrestling experience for themselves, really. This is one of those cases where ignorance is bliss. And what does the 208cm big men when you not stands in the ring? - He's keeping substance abusers in line as a security guard at a methadon clinic. Which is, unsurprisingly, quite easy for a guy of impressive stature such as myself. - Check me out on facebook.com/colossos. It's not updated frequently, but I love to hear from you fans. Thank you being my guest and i hope we see you sometimes back in a german ring. - Thanks for having me, and best of luck with the website! Bernd Lorenz aka Tazzmaschine wrote: Smartmarks still all over the world.How do you feel about the very critical smartmarks? Do they damage the business? Ist das Destructo der da durch die Luft fliegt? NewWorldOrder wrote: Ist das Destructo der da durch die Luft fliegt? This is the only guy that can make a closeline feel like been hit by a truck! A heart for wrestling, hard in wrestling!